First published as a special issue of Policy & Politics, this updated volume explores the intersections between governance and media in western democracies, which have undergone profound recent changes. Many governmental powers have been shifted toward a host of network parties such as NGOs, state enterprises, international organizations, autonomous agencies, and local governments. Governments have developed complex networks for service delivery and they have a strategic interest in the news media as an arena where their interests can be served and threatened. How do the media relate to and report on complex systems of government? How do the various governance actors respond to the media and what are the effects on their policies? 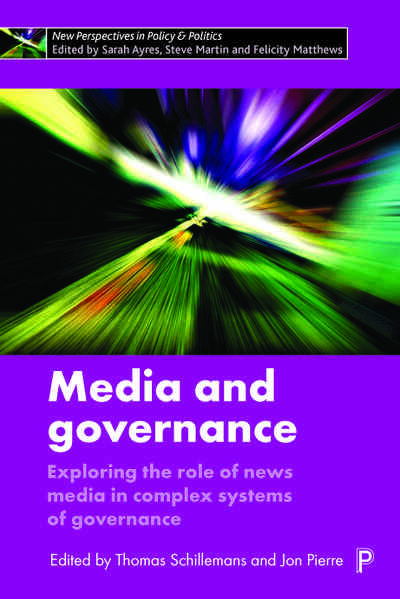 This book considers the impact of media-related factors on governance, policy, public accountability and the attribution of blame for failures.